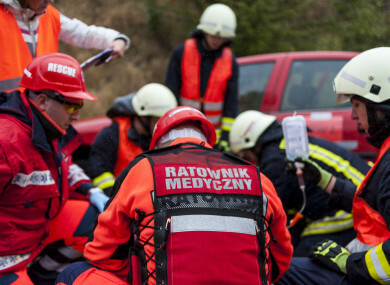 FIVE TEENAGE GIRLS died and one man was seriously injured on Friday after a fire broke out in a room where they playing an escape game, in the northern Polish city of Koszalin, officials said. Local police press officer Monika Kosiec told reporters that the injured man is thought to be 25 years old. Email “Five teenage girls die and one man injured after fire breaks out in Polish escape room”. Feedback on “Five teenage girls die and one man injured after fire breaks out in Polish escape room”.